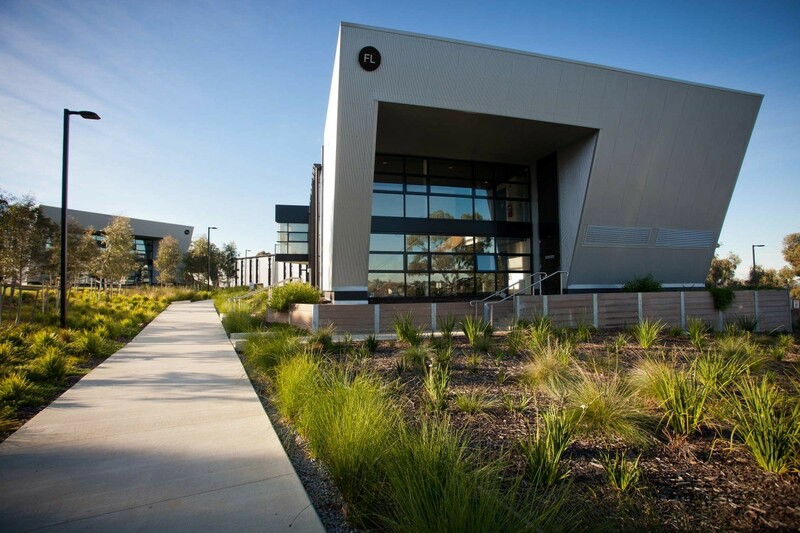 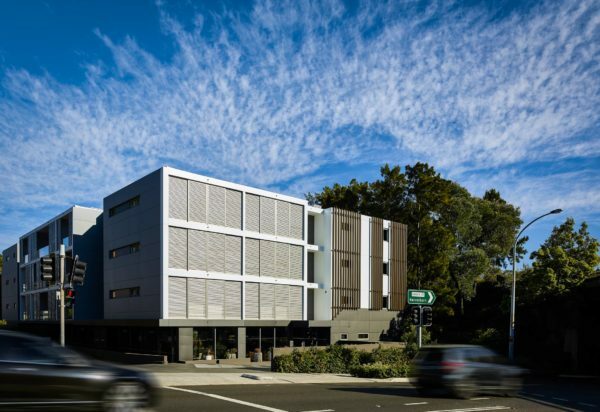 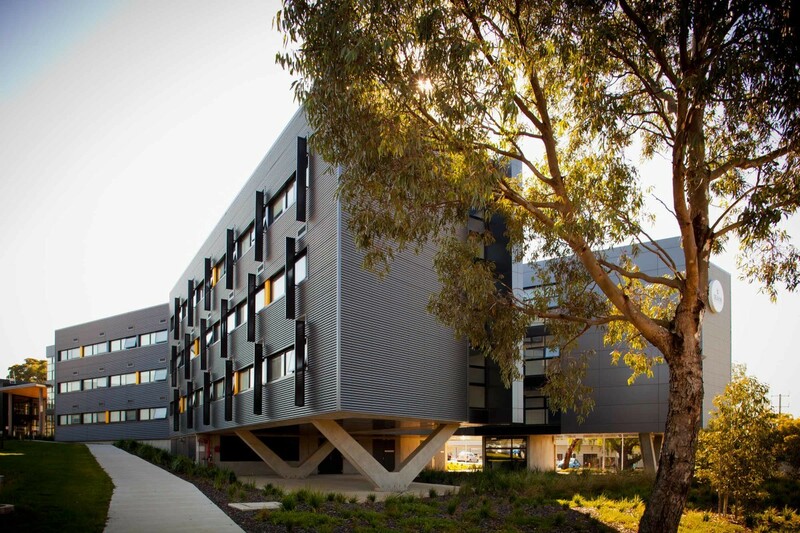 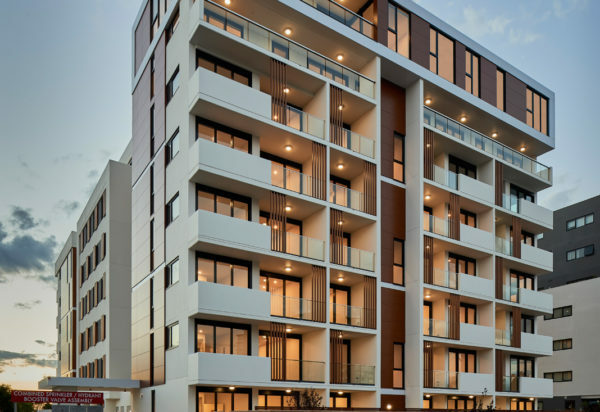 Deakin University’s student accommodation project at Waurn Ponds Campus explores the architectural language of surrounding agricultural structures through a series of contemporary, lightweight, metal clad buildings. 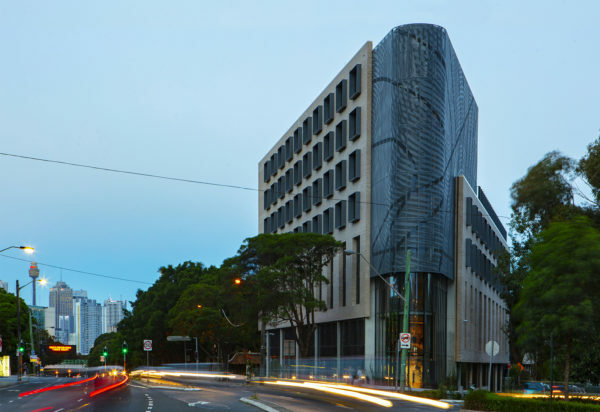 ‘V-shaped’ concrete columns are employed as striking support structures to define a distinctive architectural identity. 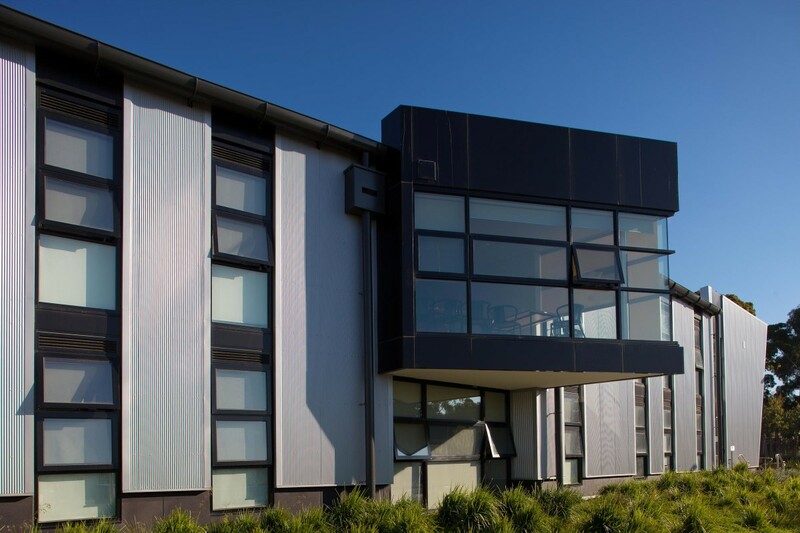 Metal sunshade devices are utilised to minimise heat gain and visually animate the otherwise muted exterior. 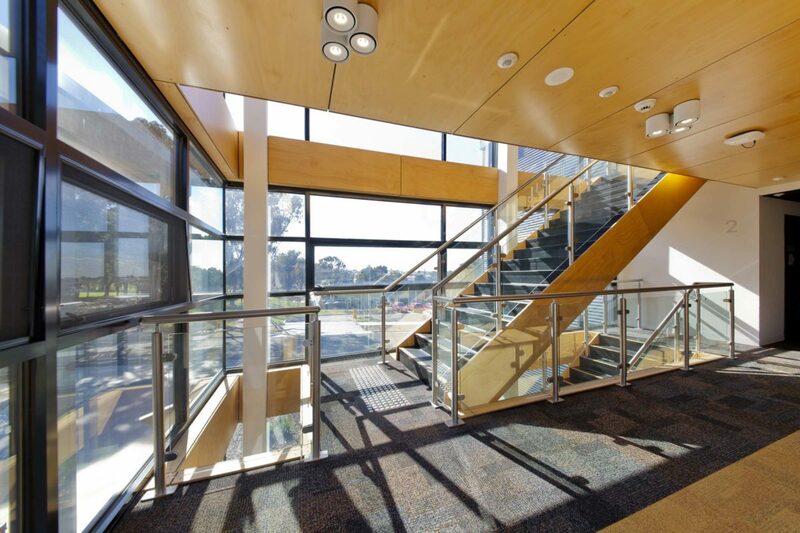 At building edges full height glazing promotes a seamless connection between indoor and outdoor territories. 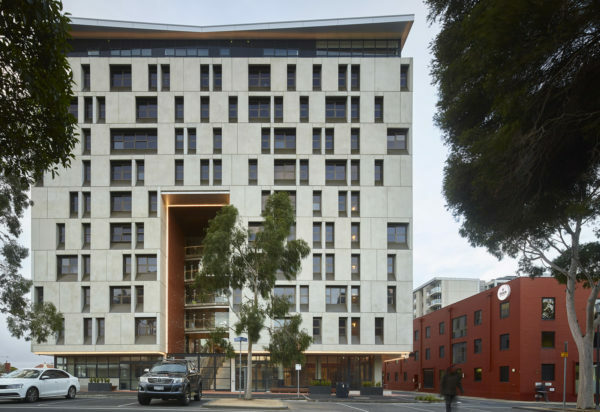 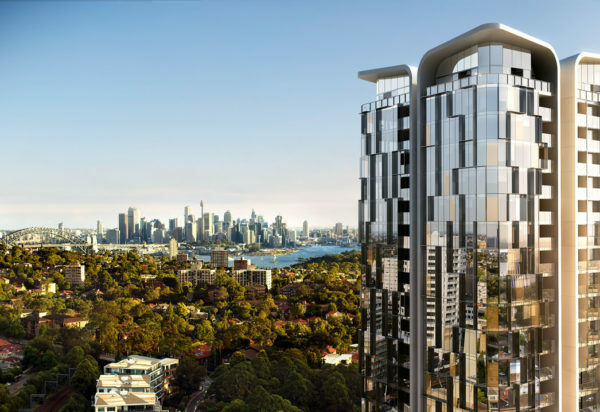 The highly visible corner site is justly exploited with buildings appearing to hover over the landscape to form a gateway to the student accommodation precinct. 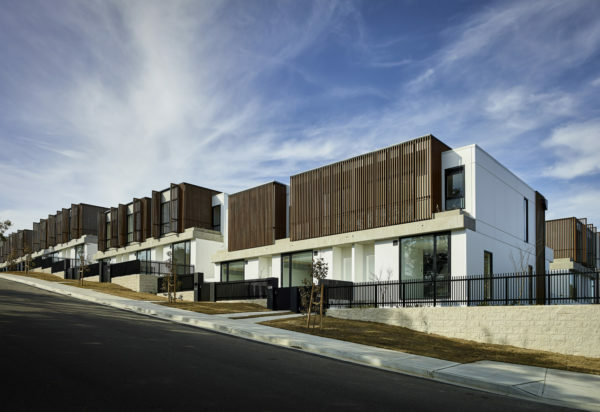 309 self contained dwellings and various communal and social spaces are arranged within five, three storey buildings sited individually to optimise topographical opportunities which maximise accessibility and minimise site excavation. 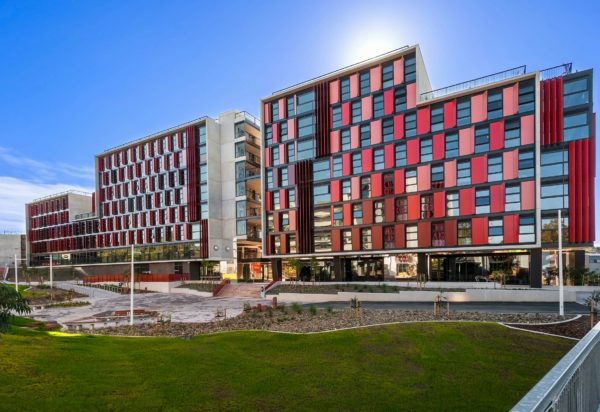 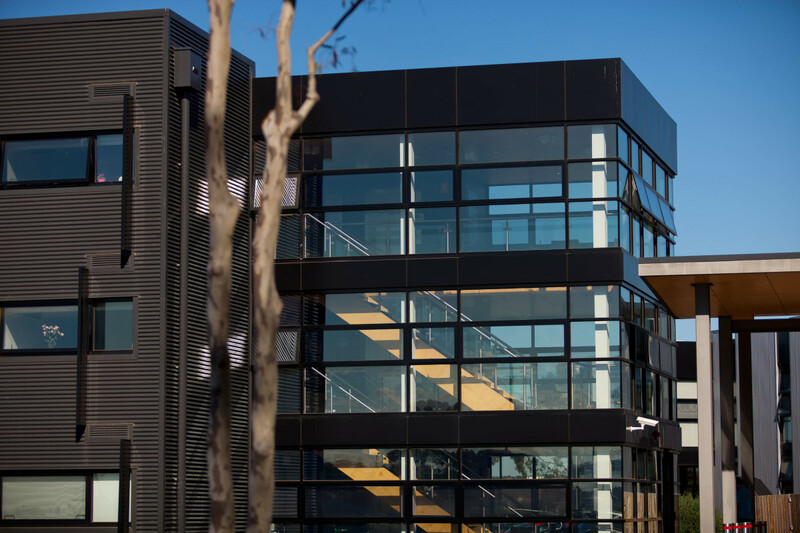 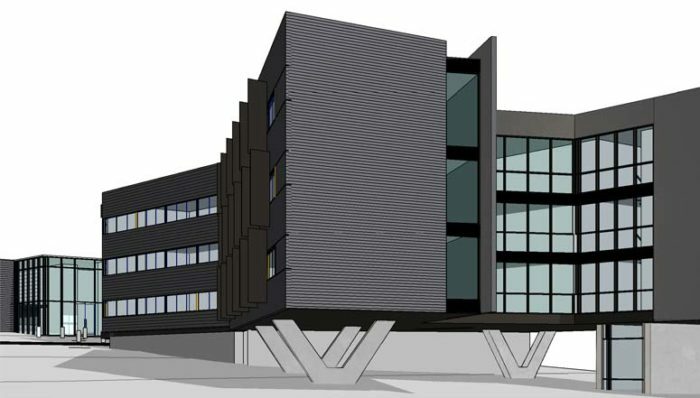 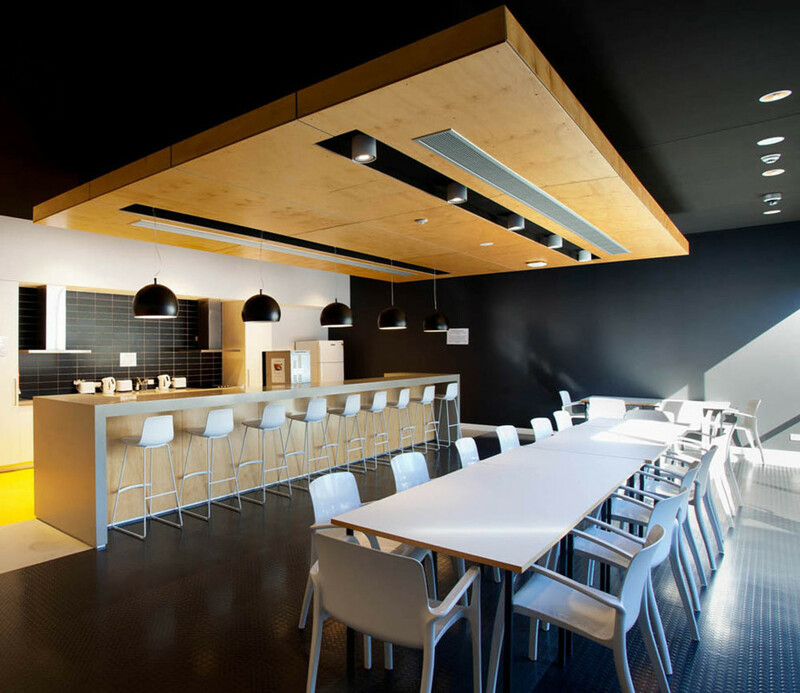 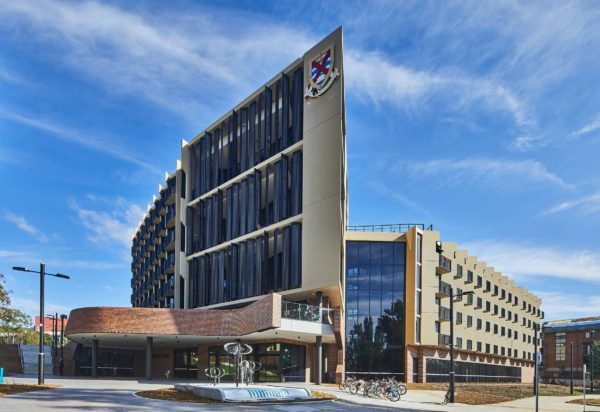 The student accommodation project significantly increased the University’s affordable accommodation offering whilst providing effective educational and social spaces for use by all students.